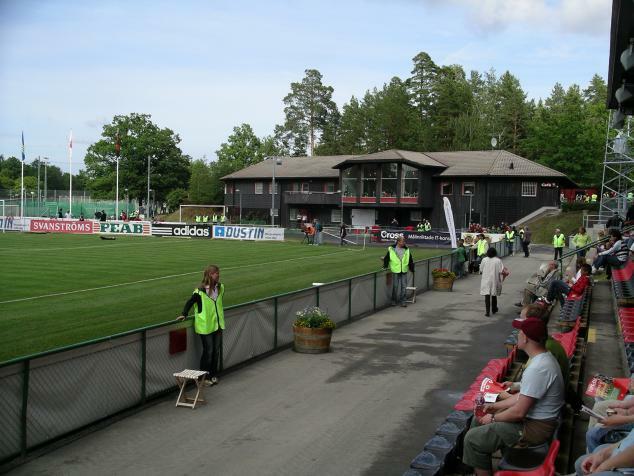 Brommapojkarna (BP) is a club famous for its many youth teams. 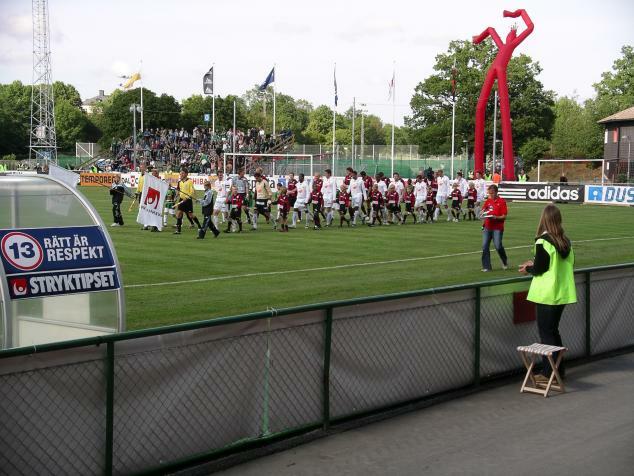 The club is widely regarded to have the best youth academy in Sweden. 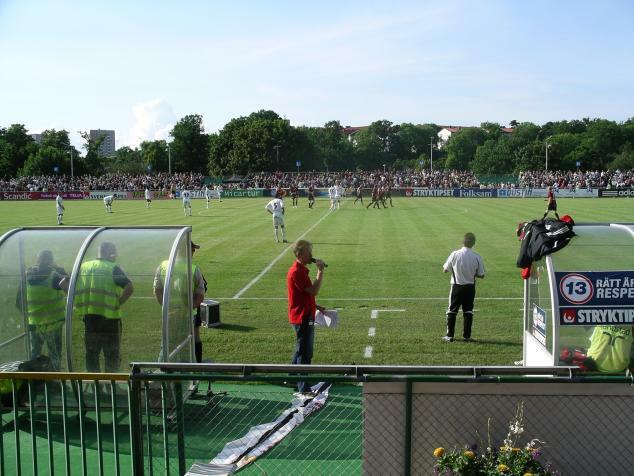 Their first ever season in the top division was in 2007. 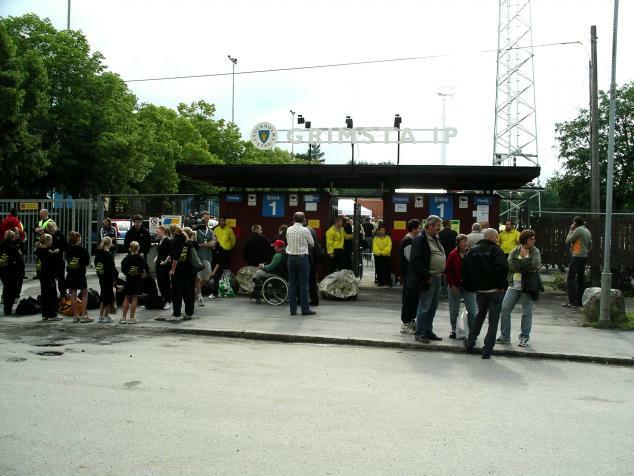 BP play their matches at Grimsta IP, a ground situated in Vällingby in western Stockholm. 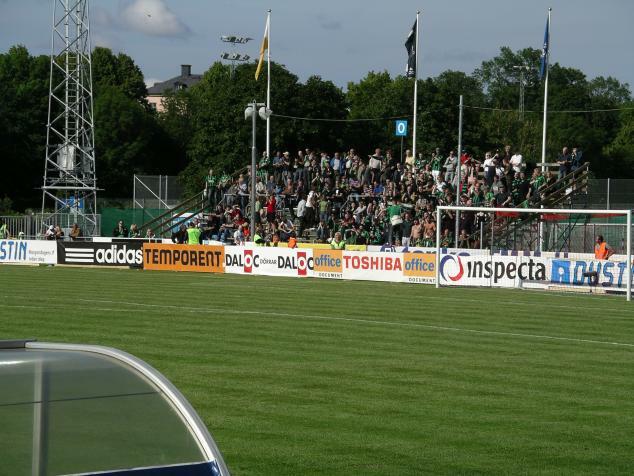 This stadium was refurbished during the winter of 2007 and according to their website the capacity is 7,500 , although I doubt that figure. 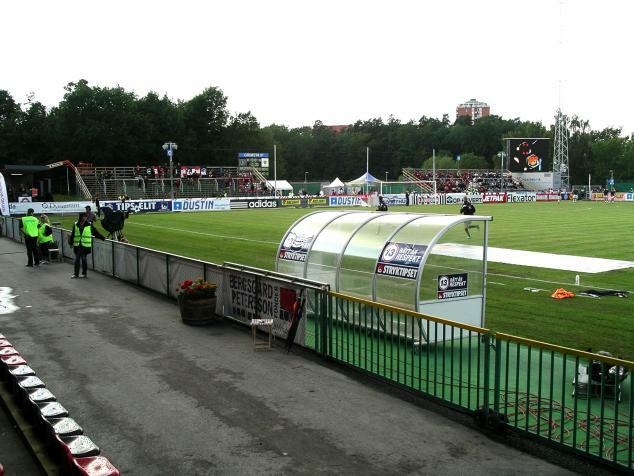 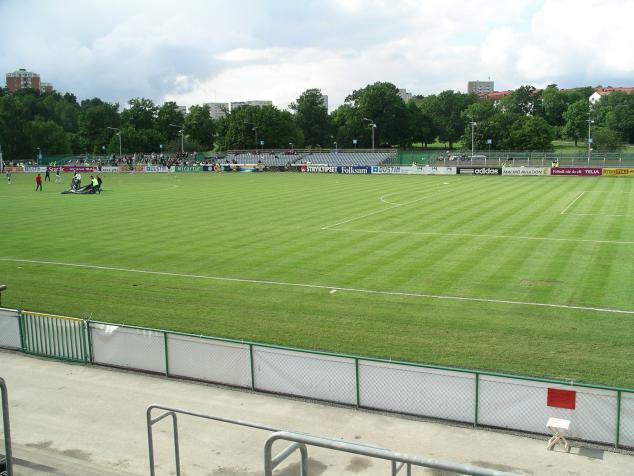 It is a nice little ground but it doesn´t feel/look like a top division ground. 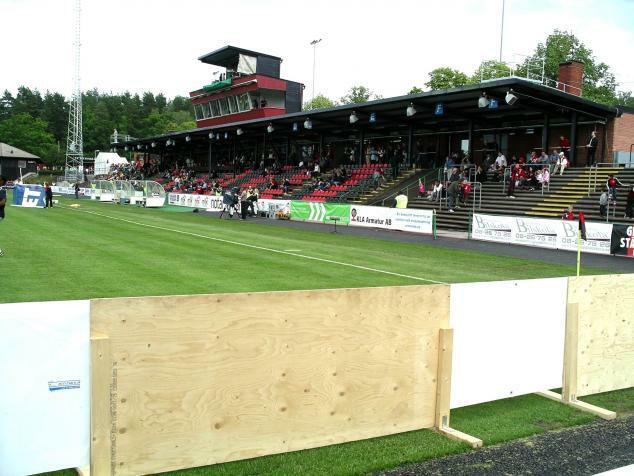 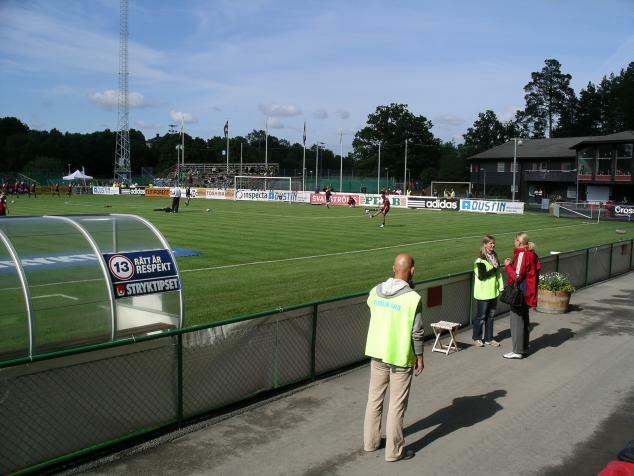 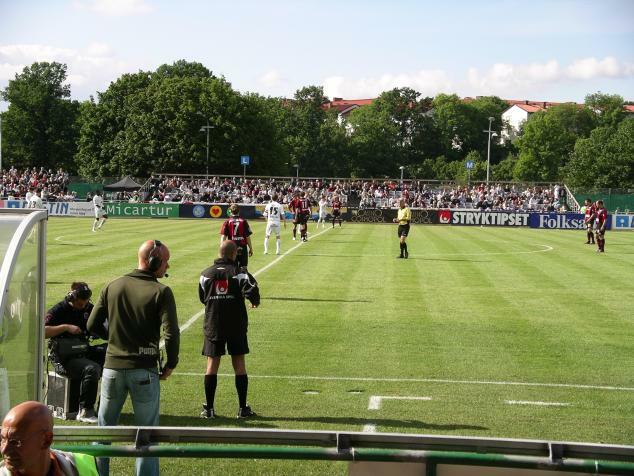 The first ever Allsvenskan match at Grimsta was Brommapojkarna-GAIS (1 July 2007) and I was there!